Andrew was amazing in making sure all my needs were met and then some. He made sure I went to the best places in the area and took perfect care of me. I would love to come back. Little 15 is great. The building is stylish with big garden. I liked outside seating area. The owner is cool guy. The location is perfect to explore the area, it is very well connected with public transportation, and also very cheap taxi, only 2 dollars to the city centre . I definitely recommend this place to anybody who wants to visit Uzice . Ask for nearby restaurant , it is very good. Andrej is an incredible host. 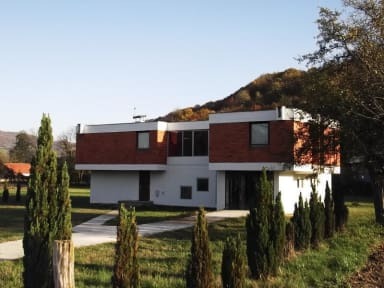 His house is beautifully modern, and he will provide you with very personal insight into the country and area as someone who was born and raised in užice. He has a fantastic taste in music, and also is a great producer himself. If you are lucky like me you will be able to hear music from his speakers. His house is a little bit out of the Center, but for me this was part of the appeal. The Center is easily accessible by bus or cheap cab. Thanks Andrej! The owner is a super amazing and helpful man. Very kind and likes to show you around. He also speaks english and knows a lot about Serbia. From the guesthouse to the city center is €2 by taxi, or you can go by bus for even less. Room was nice and clean! Breakfast is included and you can give your prefered time to have it, Andrej will make sure it is ready. We had an awesome stay! Put your trust in the owner Andrew! He is a fantastic guy who only wants to make sure you enjoy your stay. And he is very generous! 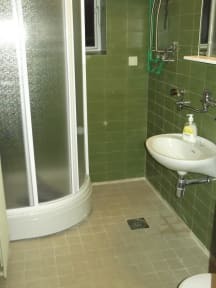 I had a very unique experience, when I arrived I was the only guest at his hostel. He took me out to show me the city, a restaurant and then organised for me to do a day with his private driver to Tara national park. I got a very good price for the tour and Andrew was very very hospitable during my stay. I would recommend this hostel for more mature guests. The hostel is good, it is in a quiet area. Its clean, the dorms are good. We stay one night and we were the only guests. Andrei was really nice with us, he took us to Uzice to show things about tipical Serbian people and he planed us a day trip with a taxi driver to the rural Serbia. Thank you very much, hvala! !